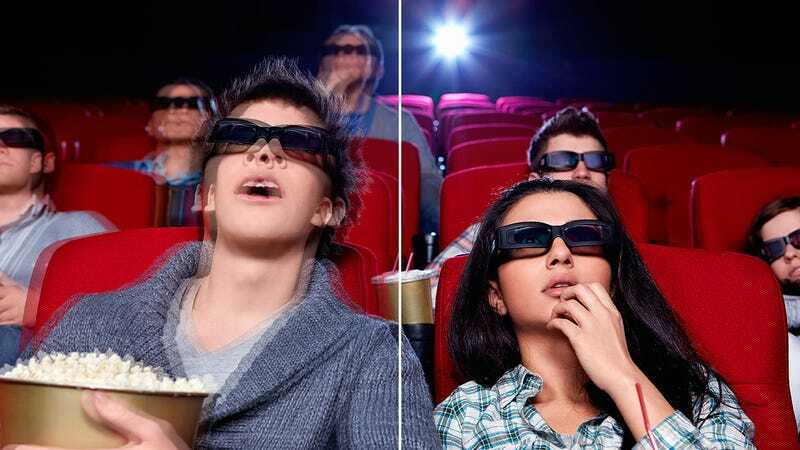 You know that sad feeling you get when a headache's coming on while watching a 3D movie and you remember that you can't actually take the glasses off for a few seconds of relief because the ghosted 2D image is even harder to watch? That could be a thing of the past as researchers from the University of California Santa Cruz have developed a new kind of 3D display that doesn't appear ghosted when you're not wearing those special glasses. Traditional 3D projection systems use two overlaid images, one for each eye that's singled out by those glasses you have to wear. But this new system works its 2D/3D magic by projecting an additional third image that's a negative of the image destined for the right eye. So when you're not wearing glasses it cancels out the right eye image, leaving just the un-ghosted left. But when you are sporting those less-than-stylish specs, the third image is filtered out, so you can see the 3D effect as intended.